To Serieswork "AFIP Atlas of Tumor Pathology Series 4"
Delivery times, dependent on availability and publisher: between 2 and 14 days. 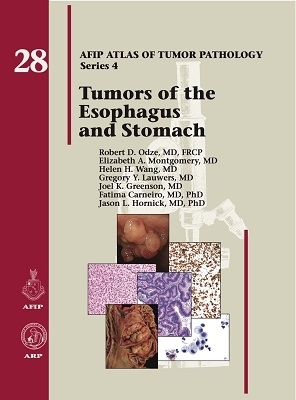 Since the publication of the third series of the Armed Forces Institute of Pathology (AFIP) Fascicle on Tumors of the Esophagus and Stomach, great advances in many areas of tumor biology have led to a better understanding of the pathogenesis, pathology, and molecular biology of epithelial and stromal malignancies of the upper gastrointestinal tract. This edition of the Fascicle was written to help pathologists diagnose diseases more accurately and understand how pathology contributes to clinical treatment in the new age of personalized and targeted therapy.